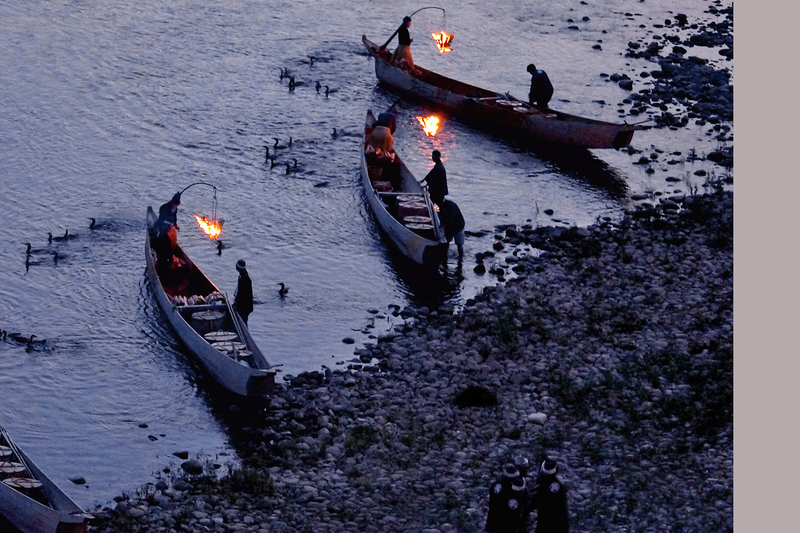 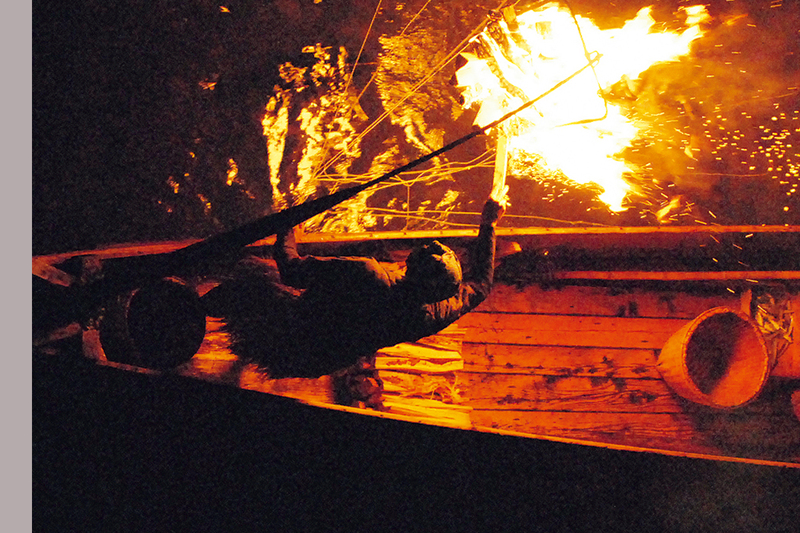 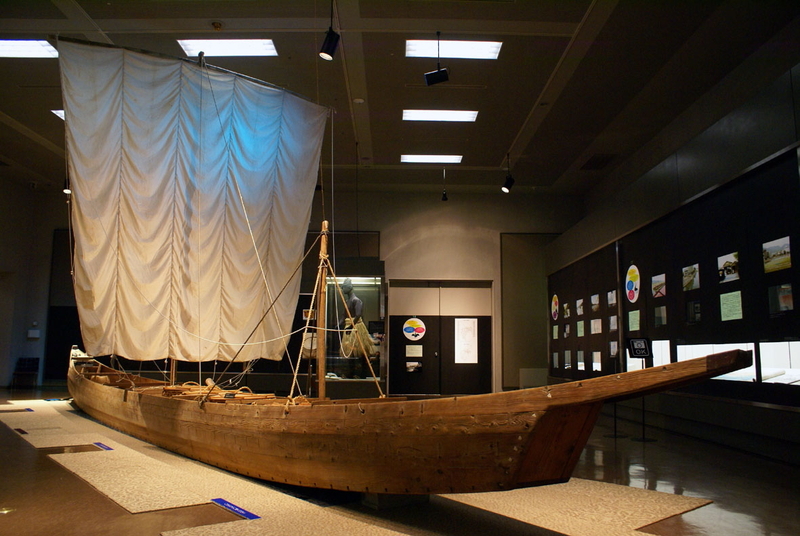 The Usho and watermen use a boat called “Ubune (cormorant boat)” for cormorant fishing. 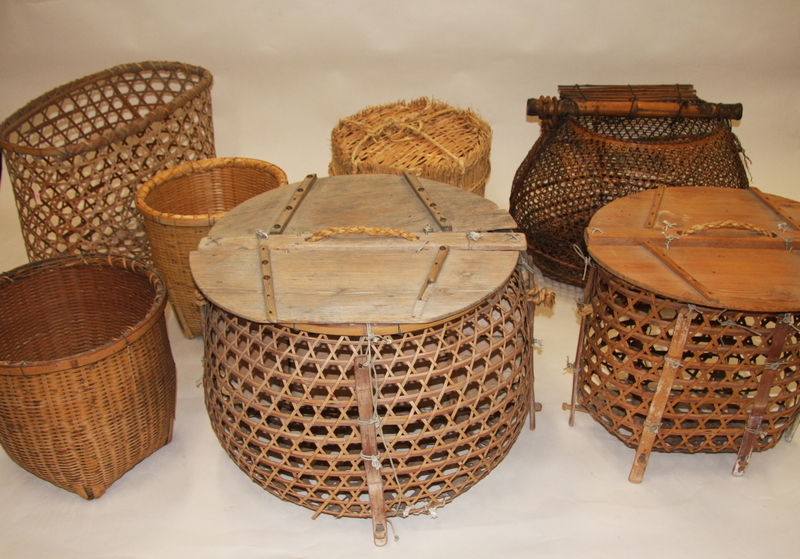 Various kinds of bamboo baskets are used for cormorant fishing. 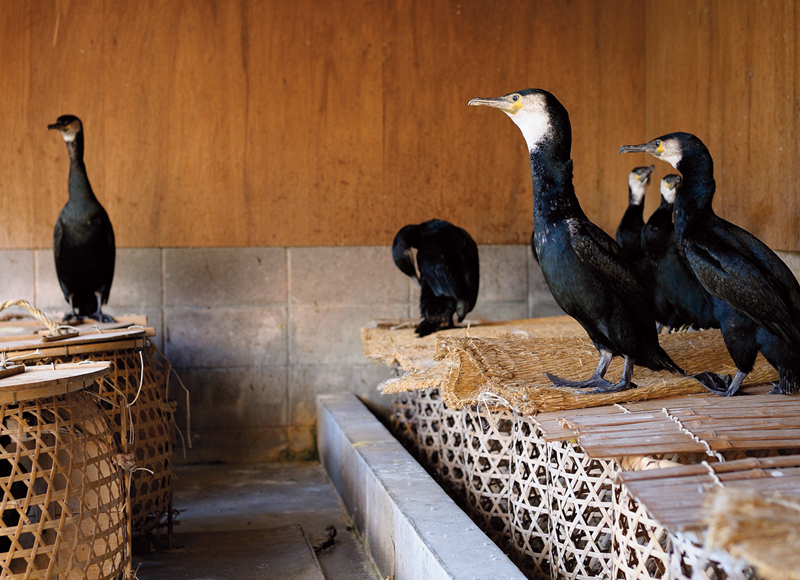 Baskets are an important place for cormorants. 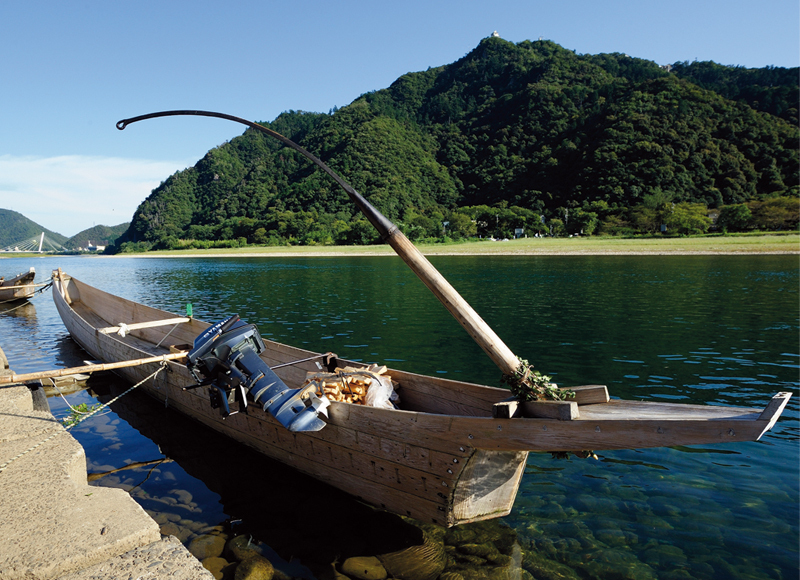 “Ryofuku (fishing clothes)” are the working clothes of the Usho. 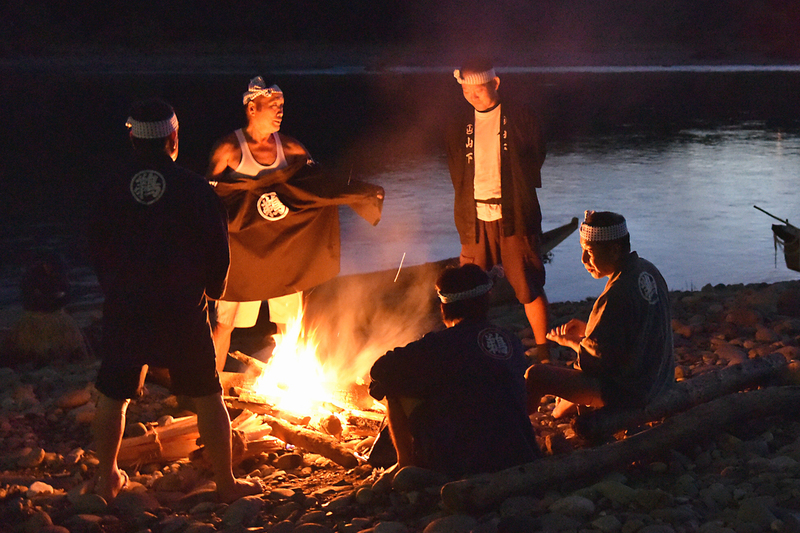 The “Muneate (breast clothes)” is to prevent fire sparks of watch fire from getting inside the clothing. 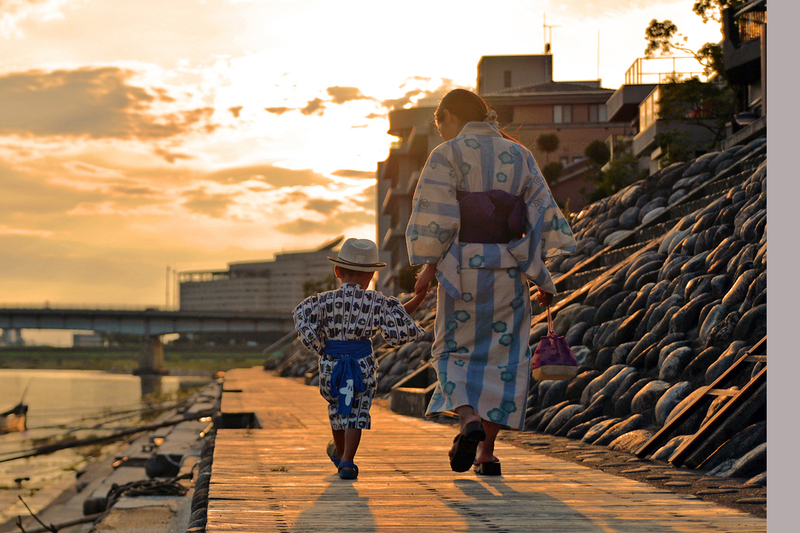 The “Kazaori-Eboshi (Usho hat)” is wrapped around the head. 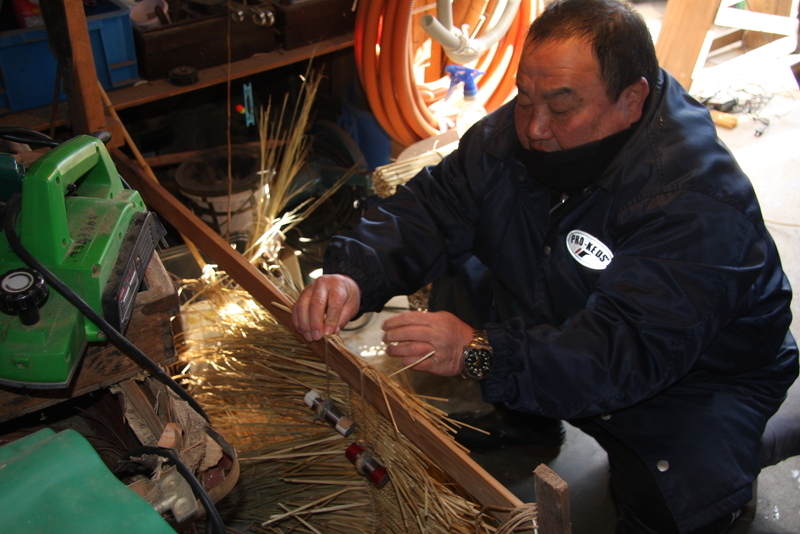 The “Koshimino (grass skirt)“ is a straw raincoat to wrap around the waist. 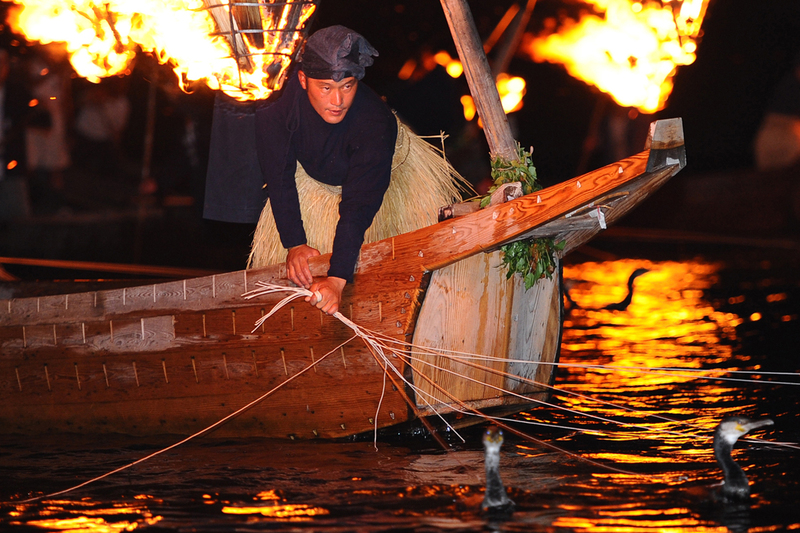 The “Ashinaka (footwear)” is a type of shoes for the Usho and watermen.